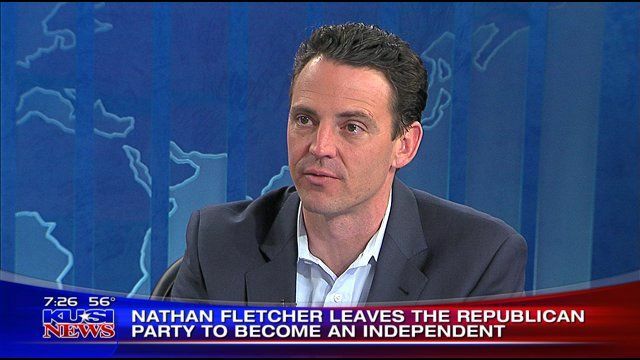 CalWatchdog has paid close attention to Nathan Fletcher over the past year, detailing the former union-trashing Republican assemblyman’s odyssey across the ideological spectrum. When the local GOP wouldn’t endorse him over libertarian crusader Carl DeMaio in the 2012 San Diego mayor’s race, Fletcher declared the party unworthy of him and became an independent. He finished third in the June 2012 vote with 24.0 percent of the vote. But then in May 2013, he shifted once again, declaring himself to be a Democrat. That 14 months beforehand he’d been a union-basher and now was a union-lover? Details, details. Incredibly, Fletcher asserted his core values never changed as he lurched from right to left. On Wednesday, Fletcher conceded in the San Diego mayoral special election to replace resigned deviant Bob Filner, beaten by Republican Councilman Kevin Faulconer (44 percent of the vote) and Democratic Councilman David Alvarez (26 percent) — even though Alvarez was a virtual unknown until a month ago with just three years experience in politics. Now? Fletcher has decided it’s time to move on. This account is from the U-T San Diego. Before his press conference, aides announced grandly that he was “leaving public life.” In fact, he gave himself plenty of wiggle room to return. And he got 24.3 percent in this run for office. If he keeps picking up 0.3 percent in support each year, he might make a runoff by 2018, and in 2099, he could finally crack 50 percent support. The runoff between Faulconer and Alvarez will be at some point in February. 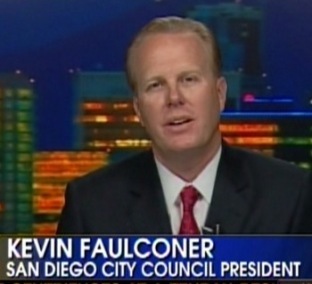 Faulconer, 46, was president of the San Diego State student body before going into corporate PR. He’s been on the City Council since 2005 and has become an increasingly effective leader, especially since coming out from behind DeMaio’s imposing shadow over the past year. He helped negotiate Filner’s exit in August. Helping him greatly is his affable manner and moderate image. He should be able to build on the 47 percent of the electorate that the hard-charging, occasionally abrasive DeMaio won in November 2012. Alvarez, meanwhile, won’t benefit from President Obama’s coattails the way Filner did in 2012. Turnout was far higher than normal in many city districts for the presidential election as young and minority voters turned out to back Obama and his fellow Democrats. That won’t happen in February’s special election. Given that Democrats have an edge of 91,000 over Republicans in voter registration, Alvarez could still win — even though he is 33 and has a very thin resume to be mayor of a big city. But Faulconer dominated among independent voters in Tuesday’s election. If he does well with them again, he should give California Republicans one of their biggest wins in some time. It is quite sad that such a opportunist is so delusional even in San Diego politics….known for electing crooks…liars…thugs….incompetents and the purposely forgotten! Between Alvarez, Fletcher, and Aguirre, Democratic mayoral candidates pulled in over 21,000 more votes than Faulconer on Tuesday. While not all of those votes for Fletcher and Aguirre will transfer to Alvarez, the vast majority of them certainly will. On top of that, Alvarez has a squeaky clean personal and political record. He is also the first Latino to ever run for Mayor of San Diego, and the city’s large Latino/Hispanic population are highly active and organized for this election.